This statistic shows the birth rate in France from 2003 to 2018 per 1,000 inhabitants. 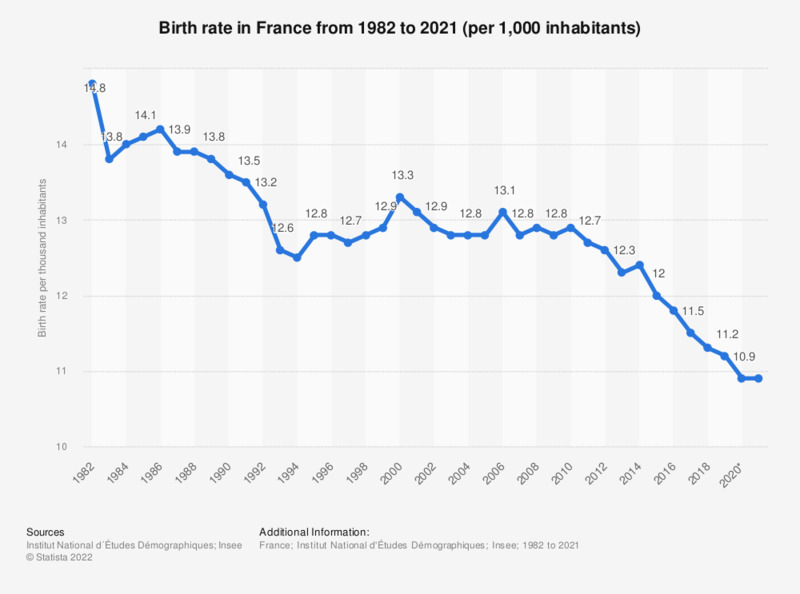 The birth rate in France peaked in 2006 with almost 13 births for 1,000 inhabitants. Since 2011, the birth rate in France kept decreasing gradually and reached 11.1 in 2018.